AUSTIN, TEXAS — March 19, 2019 — Freehold Communities is excited to announce that Dream Finders Homes now has new larger homesites at Orchard Ridge. Set back from crowded roads, Orchard Ridge is a welcomed escape from a busy lifestyle. Dream Finders homeowners will relish in a youthful and vibrant neighborhood that moves at its own pace and stands out from the crowd. Dream Finders is one of the builders already available at Orchard Ridge and builds on a variety of lots sizes. These distinctive larger 70-foot homesites will offer a fresh take on modern craftsman style homes with unmatched Hill Country views. Dream Finders homebuyers will have access to a variety of amenities at Orchard Ridge, including the community gardens and activity center with a clubhouse for indoor gatherings, outdoor pavilion with a hearty fireplace and multiple BBQ grills, plus a family-friendly pool. In addition to the central recreational space, Orchard Ridge boasts Harvest Park and Creek Park, which will both provide abundant space for families to play and relax, while a network of trails allows residents to discover nature right in their backyard. 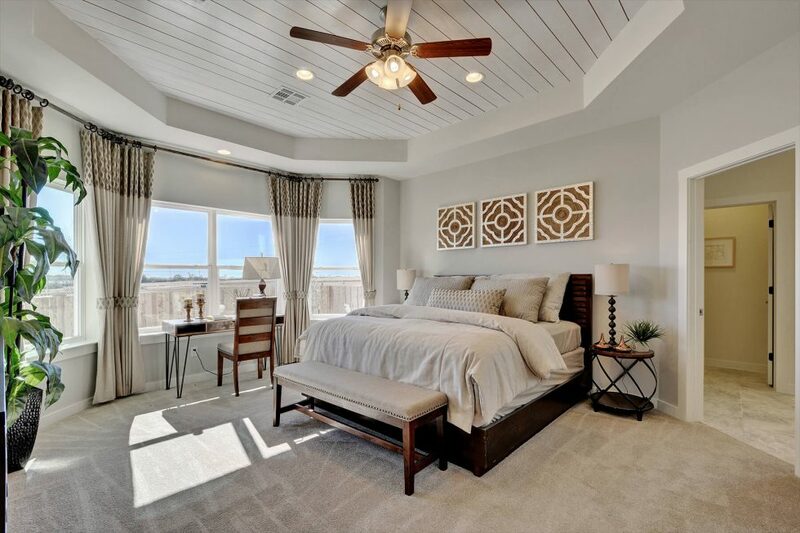 “Dream Finders has been a valued builder partner since the projects opening, we look forward to seeing their homes on this section featuring some of the best views in the community,” said Matt D. Matthews, Texas Division President of Freehold Communities. Other builders in Orchard Ridge include Buffington, Lennar and Pacesetter. No detail is overlooked when it comes to designing the neighborhoods within Orchard Ridge. Every home is unique, with a mix of floor plans that can be tailored to each family. Orchard Ridge, by Freehold Communities, is a master-planned community located east of Liberty Hill, Texas. It is a collection of amenities and scenic expanses inspired by the past with an eye toward the future. Orchard Ridge embraces healthy living, connectivity, stewardship and a strong foundation for home and family.